The economist, who is the leading expert on gun violence statistics, refuted a Johns Hopkins study that claims the repeal of Missouri’s “universal background checks” law is the cause of an increase in murder rates, in an exclusive Guns & Patriots interview. 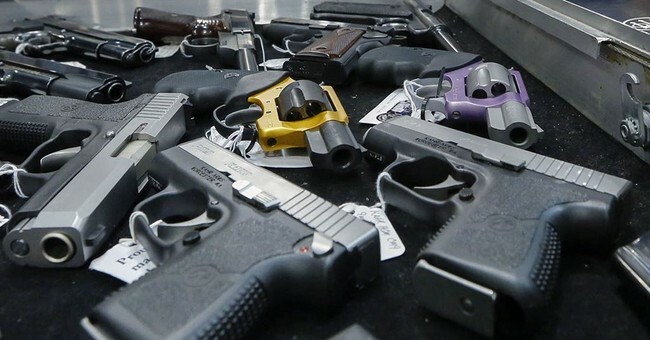 Baltimore-based Johns Hopkins Bloomberg School of Public Health conducted a study that claims Missouri’s murder rate increased by 16 percent after the state legislature in 2007 repealed its universal background checks law, which required all handgun purchasers to undergo a background check at the auspices of local law enforcement. Federal law already prohibits interstate firearm transfers, including handguns, except among licensed dealers who are required to conduct a federal background check of all purchasers through the National Instant Criminal Background Check System, said Lott, who is a Fox News columnist. Results from a nationwide study in “More Guns, Less Crime” show a slight 2 percent increase in murder rates from universal background checks, but he said the result was not statistically significant. Gun control laws are about taxes, fees and restrictions rendering law-abiding citizens – defenseless, said Lott, who first researched gun violence with the intent of supporting the benefits of restricting gun rights–until he kept coming up with the opposite findings. The people who are most likely to be victims of a violent crime are the ones who will not go through the expensive, regulatory process of purchasing a firearm, but benefit the most from having a gun to protect themselves, he said. The cost to license and register a handgun in Washington is $534, said Lott. In Illinois, one can apply for a conceal carry permit at the cost of $650 to $700, and in New York City there is an additional $85 flat fee to purchase ammunition, whether it is one bullet or 100 bullets, he continued.